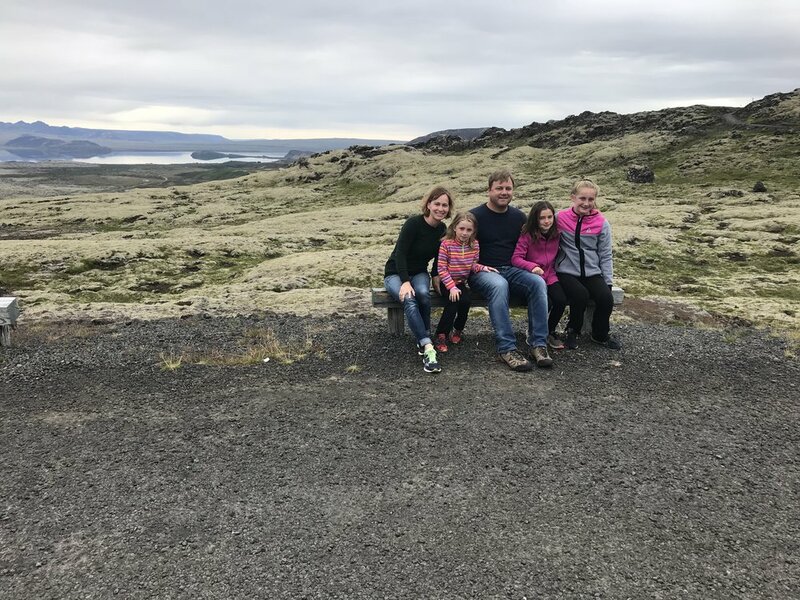 Iceland: Kids in Tow (Updated) — Trim Design Co.
Join us to receive our complimentary paint guide—plus, never miss a post! Thank you! Check your inbox for your paint guide—we hope you enjoy it! After our trip to Iceland last summer, I got several requests to share the itinerary I put together. I originally posted this in September, but figured many of you might be planning summer travel right now, so you might find some of these tips useful. And, if you are planning an upcoming trip to Iceland, you are definitely in for a treat! Andy and I hadn’t been there yet. Cheap flights! 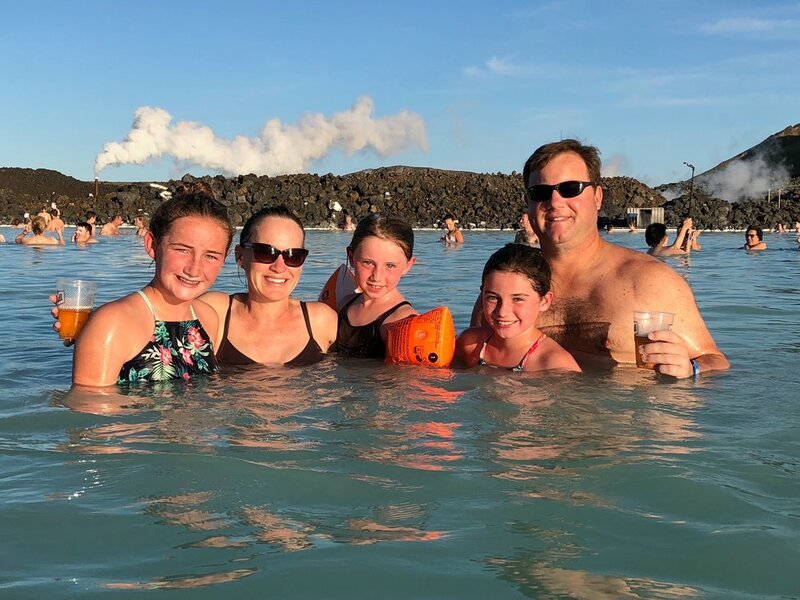 When we booked back in January, summer flight prices from the East Coast to Iceland were relatively inexpensive—$440 roundtrip. Flying time is only 4 hours 30 minutes and we wanted a nice short, direct flight. It’s an outdoor wonderland with so many things to see and do—perfect for kids. Cheap airline tickets should never be an indication that it’ll be a a cheap trip (food, gas, lodging is EXPENSIVE! Pack lunches and eat breakfast (and dinner) in whenever you can! Summertime lodging needs to be booked as far in advance as possible, especially if you’re a family of 5 or bigger! Like months and months ahead if possible! Air BnB's are best! At first I was tempted to do the entire Ring Road that pretty much circumnavigates Iceland. I figured if we were making the trek to Iceland, we should see it all! And the guidebooks did say it can be done in a week. But the more I looked into it, the more I decided it would be better for us to focus on a smaller area to explore in more depth. Nightmarish images emerged of our family of 5, stuck in the car for 4-5 hours (or more) a day every day. That’s a lot of forced togetherness. Even though I booked a mid-size SUV with a third row, I just knew the car wasn’t going to be that big (with all our luggage and all), and that the girls would basically be on top of each other in the back. Plus, we’ve got at least one daughter prone to carsickness. Not a good scenario for long drives. So instead, we’d dive into the South Coast and take a more leisurely pace, allowing time to do random things that I might not have planned out ahead of time. Now here’s a key point: We landed in Iceland August 17. I booked our lodging in the middle of May. By the time I’d booked in May, many of the ideal Air BnB accommodations suitable for families of 5 were already sold out in the smaller towns along the South Coast. This was a real headache. In my mind I thought I could pick out the towns we wanted to stay in, in the order that made sense, get on booking.com and book places to stay in each town. But instead, because of the lack of availability, our itinerary was determined by where we could stay on which days. So there was a bit of backtracking in our route. In the end, it actually didn’t make any difference and the itinerary worked out just fine—the region we traveled was not that spread out, so a little backtracking doesn’t make a whole lot of difference in your trip. 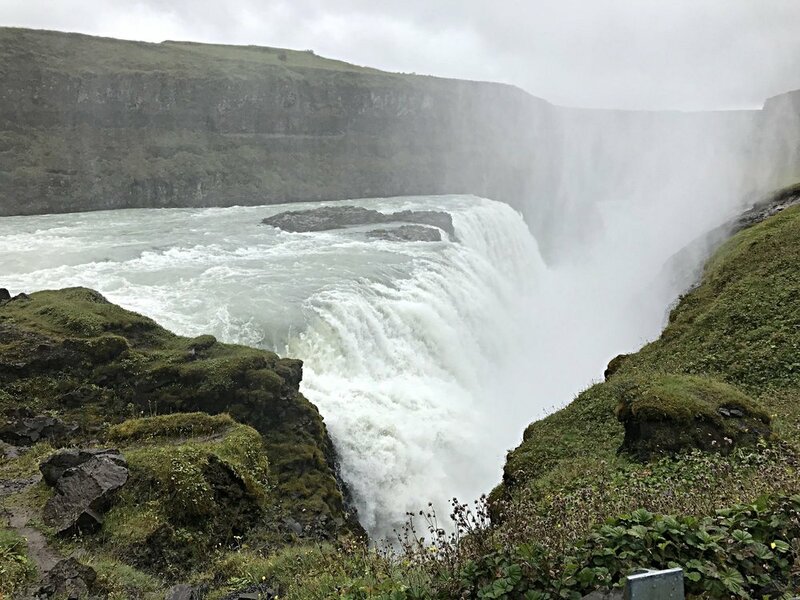 But, if you’re traveling to Iceland in summer and you want your pick of places to stay and you want to go places particular days, book your accommodations as far in advance as you possibly can. Booking.com is very convenient and easy to use. If you download the app, all your bookings are right in your phone, making it super easy to connect to google maps to find everything and just making you feel more organized about where you're staying each night. Arrive Keflavik Airport 5:45 a.m. Head in to Reykjavik (about a 45 minute drive from the airport). Pack your puffs and a hat in your carryon bags. After leaving August weather, the November-like weather when you arrive is a shock. You have to wait outside for the airport shuttle to the car rental, and it’s nice to be able to put on some warm layers right away. This is a tough day. Everyone’s exhausted and you have a full day ahead of you before you can check in to wherever you’re staying. If it is possible to book a place where you can check in early in the day to rest and regroup, I’d say go for it! In hindsight I should’ve contacted our accommodations to see if that’s possible. We were all beat— hungry, jet-lagged and disoriented. Our original idea wasn’t to go in to Reykjavik at all on this day. We were planning on site-seeing the Reykjanes Peninsula down where the airport is located. This peninsula is essentially a huge lava field (it looks like the surface of the moon in many places) and there are some neat geothermal features and Kleifarvatn Lake with its volcanic black sand beach. But I could tell immediately this plan wasn’t going to work for us. We needed to find a place to eat, relax a little, meander around, not push it too much. So instead we headed in to the main drag of the city (Laugavegur). The scenery on the drive to Iceland’s capital city is breathtaking and it perked us all up. Plus, it was a clear day (not common!) which always makes a difference when you’re traveling. It also happened to be the day of the Reykjavik Marathon! It was fun to stumble upon this event—it coincides with Reykjavik’s Culture Night and museum admission is free that day. After finding a place for breakfast and watching the kickoff of the marathon, we explored the city a bit. 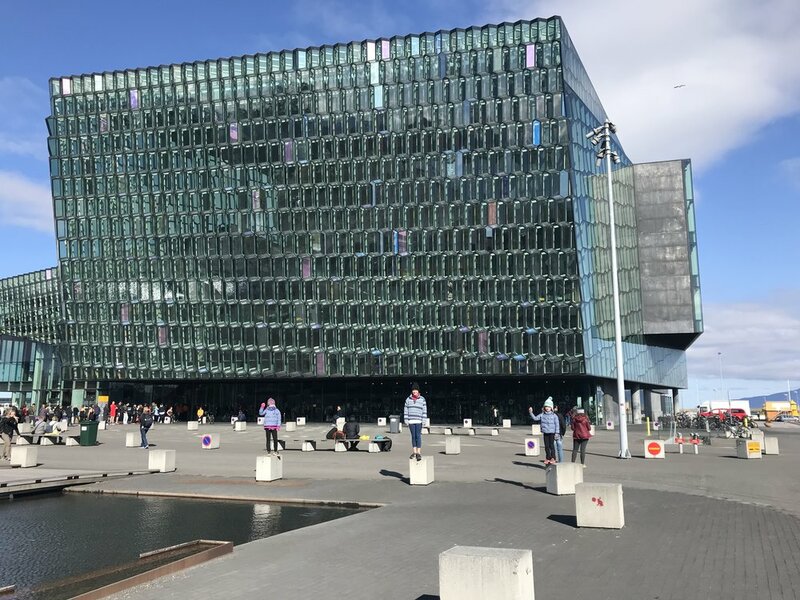 It’s very manageable to walk around and see a lot of the sights—the harbor, stroll Laugavegur, which is the city’s main walking street, check out the Hallgrimskirkja Church (Reykjavik’s most recognizable building). Since I love flea markets, we also went to the Kolaportio flea market (open only on weekends). I bought myself a pair of Icelandic wool mittens and a hat, the girls loved looking at the lava stone jewelry. It’s a less expensive place to buy some mementos from your trip if you happen to be in the city on a weekend. Another excellent idea for your first day if you want to ease into things is to drive the short drive to the eastern part of the city to Reykjavik’s Family Park and Zoo—especially if the weather is nice. We ended up going here on a whim on our last day before our flight home, and it turned out to be a highlight on the trip. The grounds are meticulous, it’s right next to the botanic gardens, and on a pleasant day it’s a beautiful place to spend a few hours. Even our 12-yr-old loved feeding the goats, seeing the seals and reindeer, riding a few of the tame amusement rides, and playing in souped-up playground area which has a lot of neat things I’ve never seen in any playground back home! Andy and I let the girls wander around on their own while we sat and enjoyed the beautiful surroundings. Plus, you get a glimpse into true Reykjavik living—families out and about spending time together on the weekend. I had made late afternoon reservations for the Blue Lagoon (make these reservations ahead of time!) so we headed to Grindavík where we’d be staying that night to check it out, get lunch, and check into our Air BnB. Grindavík is a small harbor town—wipe the touristy harbor village image from your mind—this is very much a working harbor town with processing plants and fishing boats. We were looking for a place to stop for lunch and all along the road we saw signs advertising “hot soup” leading us to the harbor. Without those signs, we never would have found Bryggjan, an unassuming café serving up the BEST lobster bisque we have ever had in our lives! It’s right on the water, has a deck with picnic tables outside and a small space inside with tables if the weather’s not great. They offer two soups (lobster and vegetable when we were there) and delicious homemade bread. You help yourself and can have as much as you’d like! They have some other menu items, but we all got the soup. This might be a good time for you to have your first Icelandic beer. Absolutely every place we went in Iceland served up the coldest beer—some places have really interesting craft beer on tap, others have the Icelandic staple “Gull,” a crisp, refreshing lager that always hit the spot. Another favorite: Ulfur’s IPA. Einstok Arctic Pale Ale--one of Iceland's many excellent beers. We stopped by the local grocery store (Netto) to pick up some provisions just to have on hand, checked in to our first Air BnB, Grund, and relaxed before heading to the Blue Lagoon. The Blue Lagoon is expensive (although kids are free) and I’d read that it was touristy, so I didn’t have the highest expectations for it. But, it was fantastic! We all loved it. I highly recommend it for the afternoon of your first day because it’s the perfect way to relax after all the traveling. Afterwards you can simply collapse for the night! The otherworldly blue color of the water and the setting in this volcanic no-man’s land makes it truly memorable. Once again the Gull beers at the in-pool bar are icy cold and delicious. The girls enjoyed the smoothies they prepared there as well. The temperature in the hot pool is perfect (and you can find pockets of hotter water and areas of slightly cooler water). There are plenty of areas for kids to swim around and explore. It was a great kick-off to the trip. Very happy to complete the first day of our trip at the Blue Lagoon! Taking Rick Steve's Advice: On the Scenic Route! One of the nice parts about biting off a smaller part ofeland to explore is that we didn’t feel the pressure to cram too much into each day. With the way the jet lag works, you tend to stay up late and sleep in. Early in the trip we didn’t really get going until after 10 a.m. Letting the kids sleep in and be well rested for our daily escapades made them more successful. So, although I’d read that the major sites in the Golden Circle could be accomplished in one day, we decided to break it up into two days. From Grindavík, we headed up to Thingvellir National Park - Þingvellir. We took Rick Steve’s advice and opted for the scenic route via Nesjavallaleid. Highly recommend. Beautiful scenery, few cars, lots of photo ops. We picnicked at Thingvellir National Park and explored. On the way back to Reykjavik for the evening, we took the girls to a local municipal swimming pool (Arbæjarlaug)--it has a good water slide! The girls loved this and it gave us all another opportunity to experience a slice of local Icelandic life. In addition to the large heated outdoor pool with the slide and lap lanes, there were three small hot pools, each heated to a different level, so us adults could soak at our preferred water temperature. In a crevice between two continents! We spent the night back in Reykjavik at Downtown Reykjavik Apartments. It was great to be able to spend 2 nights in one place. These cabins, just outside the small town of Hveragerði, Iceland, were a great home base for finishing up the Golden Circle, Icelandic horseback riding and hiking up to to the thermal river in the Reykjadalur Valley. Day 3: We tackled the other main sites in the Golden Circle: Geysir Geothermal Field and the Gullfoss Waterfall. We hit bad rain on the drive back from the sites, so we skipped the Kerid Crater. Can’t win ‘em all, right? Again, we took our time, stopped for icecream at Efstidalur II, a dairy farm just off the highway on the way to Geysir. They made excellent (huge servings) ice-cream and the girls enjoyed looking seeing the cows. Day 4: This morning was our rainiest morning, so we laid low in the cabin and relaxed. Not a bad thing. Our horseback riding tour was scheduled for 2 p.m., and the weather lifted by then. Had it been a nice day, we probably would’ve tried to hike to the thermal river on this morning, but we pushed it off and ended up doing the hike towards the end of our trip. I booked the riding before the trip at Eldhestar, which was very close to where we stayed. We did one of their shorter tours and they were fine with my youngest daughter riding (age 7) and the fact that none of us had ever ridden. This was an expensive excursion, but well worth it. The girls loved it (I, on the other hand, turned out to be kind of terrified being on a horse! I guess you don’t know til you try it!). The staff was very patient with us as well. Tip: It was buggy after the rain, and even though the bugs in Iceland don’t bite, they do swarm and can be annoying. I’m not sure if bug spray deters them, but I’d pack it just in case and I’d even pack a mosquito net for your face if you plan to horseback ride and hike up to the thermal river. Those were the only two times we experienced bugs. Dinner: ölverk Pizza and Brewery Another excellent pizza place with outstanding beer—brewed at their in-house, geothermal powered brewery. Highly recommend! It's important to have some good beer recommendations when you travel, right?! Day 5: South Coast to Vik—Seljalandsfoss Waterfall, Skogafoss Waterfall, Solheimajökull Glacier Reynisfjara Black Sand Beach. This was our longest driving day (about 2 hours of driving total, but lots of stops) and a day with several high-profile sightseeing stops along the way. We lucked out with clear weather and each sight wowed us all so the girls kept up their momentum. Seljalandsfoss: You can’t miss this one! This is the waterfall you see so many pictures of because you can walk right behind it. Everyone loved it. Skogafoss: There was an amazing rainbow while we were here and the weather was warm. The girls loved just roaming around and we picnicked here for lunch. Solheimajökull Glacier: Probably about a 20 minute walk from the parking lot up to the actual glacier—hard to believe just 20 or so years ago, the glacier went all the way down to the parking lot. Reynisfjara Black Sand Beach: Despite so many warnings about the “sneaker waves” that can surprise you at any time and are notorious for sweeping unknowing tourists out to sea, I couldn’t believe how many people were lounging on the sand right down by the water. We didn’t see any sneaker waves while we were there, but we kept a safe distance nonetheless! Vik: This is one of those nights we had to spring for a hotel because it was all I could find when I booked. We stayed at Hotel Katla Hofdabrekka. It was clean and comfortable, had an excellent breakfast included, and a nice outdoor geothermal hot pool (kind of like a large hot tub) that we had to ourselves. But, it was about 5 km beyond the town center and so we ended up eating at the overpriced, just so-so hotel restaurant for dinner. It would’ve been nicer to be right in town. When I travel, I love to try to do a few things off the beaten tourist track if I can. Rick Steve’s had mentioned a day-trip to the Westman Islands as a kind of “back door to Iceland” experience, so I made ferry reservations to go (try to book once you get an idea of what the weather’s going to be like during your trip so you have a better chance of hitting the islands on a clear day—of course I know that’s tricky with Iceland’s frequently changing weather patterns!). The old volcano on Vestmannaeyjar. This was a really fun day excursion! It’s wild to think nearly 5000 people live on these craggy, volcanic islands. We walked up the hardened lava of the volcanic mountain (Eldfell) that blew its top back in 1973! ), went to the fantastic Volcano Museum where they’ve preserved a home excavated from the rubble, visited the puffins at the small aquarium in town and had lunch. It was a great side trip if you have the time! Skogar: This was the other night we ended up at a hotel (Hotel Skogafoss), this time at the base of the Skogafoss waterfall. Again, if you can find an AirBnB option, I’d recommend going that route. On hike to the hot river! 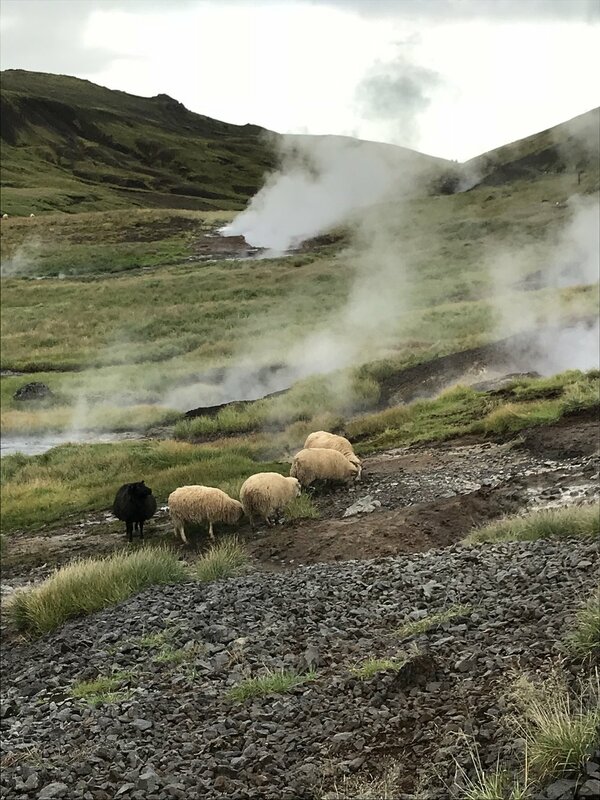 I’d been disappointed when we missed out on hiking up to the geothermal river in the Reykjadalur Valley when we were in Hveragerði because of bad weather. So we decided to do the hike on our last full day in Iceland on the way back to Reykjavik. It was well worth it! We all thought it was amazing to be able to hike up into the wilderness (well, us and a bunch of other people—it was busy up there!) and lounge in a river that felt like a hot tub! Worth it, despite the bugs...and the rain! Don’t trust the weather. When we left our car, it was clear blue skies in every direction. I think it was the one time I didn’t make everyone take their rain jackets. When we reached the river it started to downpour! Lesson: Never trust the weather, always bring your rain jacket. Always. Steep: The hike is straightforward, but it is steep and a lot of work for little legs. Our girls were fine (even though we don’t hike much—maybe the allure of the hot river at the top kept them going! ), but if your kids aren’t big hikers, you might hear a lot of whining…. Bugs. This trail was BUGGY!!! It almost turned us back. Bring bug spray and mosquito netting if you can. Even the sheep like it up there! 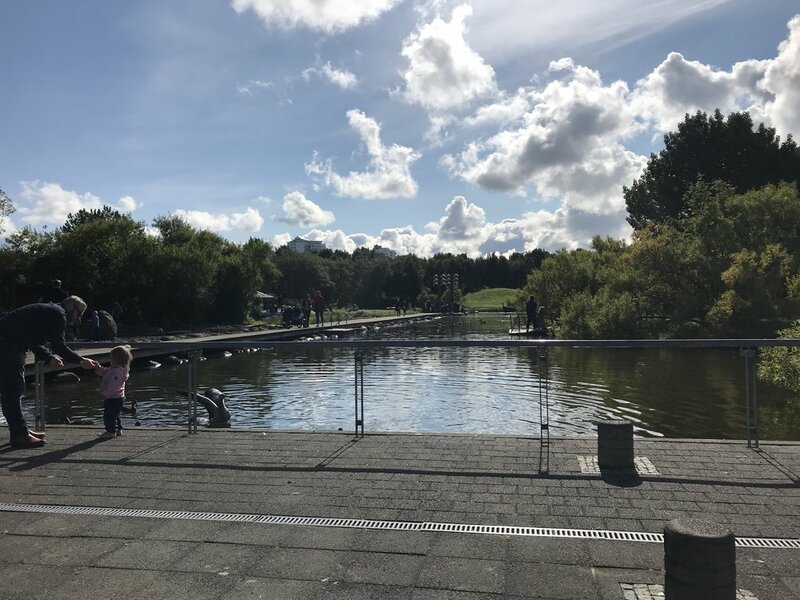 Our flight wasn’t until the evening and the day was beautiful, so we decided to take the girls to the Reykjavik’s Family Park and Zoo, which turned out to be a surprise highlight for all of us. Car Rental: Please check to see if your car takes Diesel! We didn’t realize ours did, so when we filled it with regular it really messed things up! We had to get the regular gas drained to the tune of $200—and luckily we were near a gas station!! Packing Tips: You can pack light and just rewear as much as you can, or do laundry. These are some of the key pieces that come to mind. IMPORTANT: Charger adaptors for your phones etc!! We overlooked this very important thing and had to rely on the car usb charger port for the first part of the trip (total headache!). We finally picked up the adaptor at a gas station, but I've read they sell them at Keflavik airport in the Duty Free--pick up several when you land! My uniform (and the girls’ uniform--Andy was never as cold) for the week was pretty much: jeans, sneaker (unless rainy, then I actually wore my Sorel winter boots), long underwear shirt, thin wool sweater, puff, hat, gloves, and I always had my waterproof shell. Phone service: We have Sprint, so we had free texting and internet searching, but phone calls cost some money (not much, but I only made 2 calls to our Air BnB host one day). There is a way to page $25 for the week to upgrade your cell service so you can search faster. Do that! I couldn't figure out how to set it up, so I really could only use internet when I was within WiFi which was a total hassle. Call your carrier ahead of time and get decent service b/c you're going to want to be able to google everything while you're out and about. Rick Steve's book: Rick Steve's Iceland. (I know it's kind of old school, but I loved having an actual guide book with me at all times. It was good to have something to fall back on when I didn't have great internet service--and it's got a ton of excellent info...just wish he'd warned us about the bugs on that hike up to the thermal river!). Perla Museum : This is an awesome science museum to visit when you're in Reykjavik and before you've hit a lot of the geological sites. It's very interactive and gives you (and the kids) an excellent overview of all of Iceland's unique geological features--volcanos, glaciers (not sure if that's a geological feature, but anyway...), shifting tectonic plates--and there's a really cool ice cave (no pun intended--well, maybe just a little bit intended!) in there. Plus, if it's a clear day, the 360* observation deck is terrific. Hope I didn’t bore you with too much information (and way too many pictures)! And I apologize for spelling errors--those Icelandic words are hard!! But, if you are planning a trip to Iceland—kids in tow—and have any questions, please don’t hesitate to email me! I’d be happy to offer any advice if I have any. Thanks so much for stopping by!